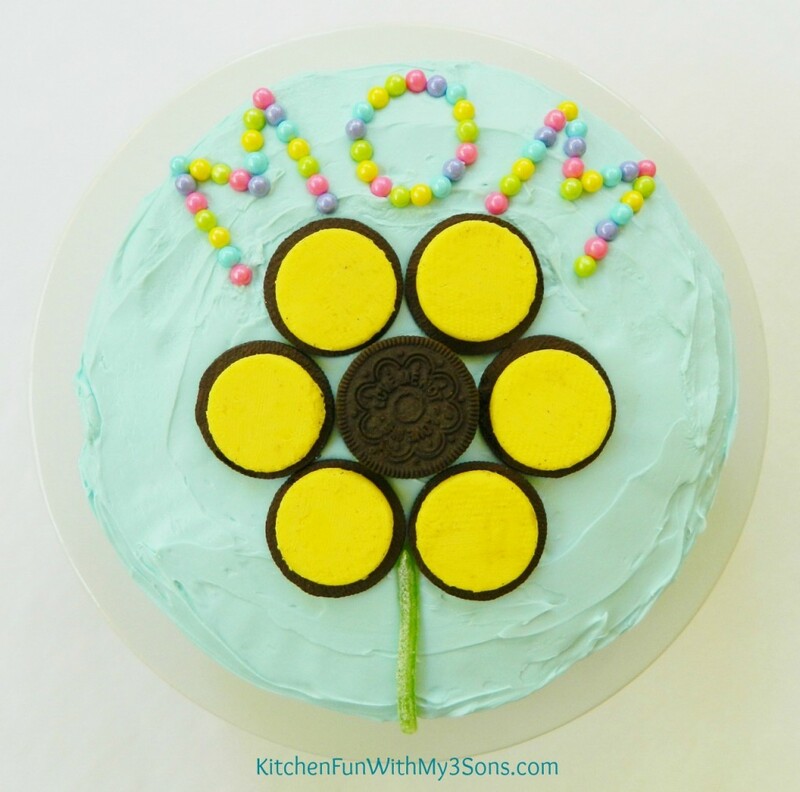 We came up with these super easy to make Sunflower Cake for Mother’s Day! 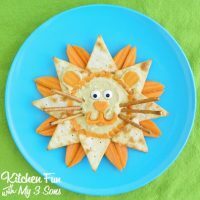 The kids can make this all by themselves & even dad can handle this one! :) I know there are a lot of dad’s out there that like to cook & bake, but the dad’s that I know do not like to step foot in the kitchen. 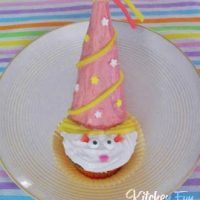 Us mom’s like to get homemade goodies as well & this is the perfect kind of cake for the kids to make because it takes just minutes to make. You can even buy a premade cake & decorate it this way to make it even easier! The kids will have so much fun making this & I bet grandma would enjoy this as well. Bake your cake mix according to directions in 2 round cake pans. Tint your frosting light blue using food coloring. Frost the cooled cake. Pull off the top cookie from 6 Oreo’s. Place 1 Oreo in the middle of the cake & place the Oreo’s with the yellow cream showing around the middle cookie. Cut off a Sour Punch straw to look like a stem on the bottom. 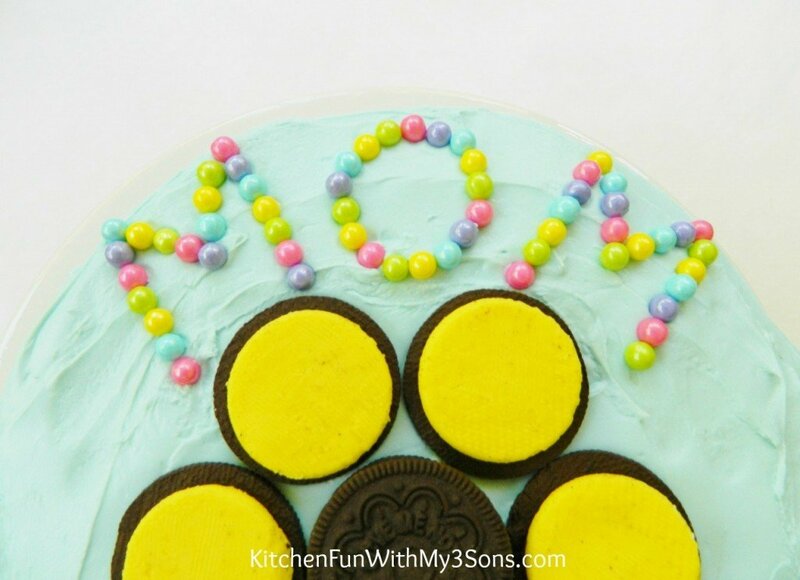 Have the kids spell out Mom on top using the pearl candies using whatever color they like. 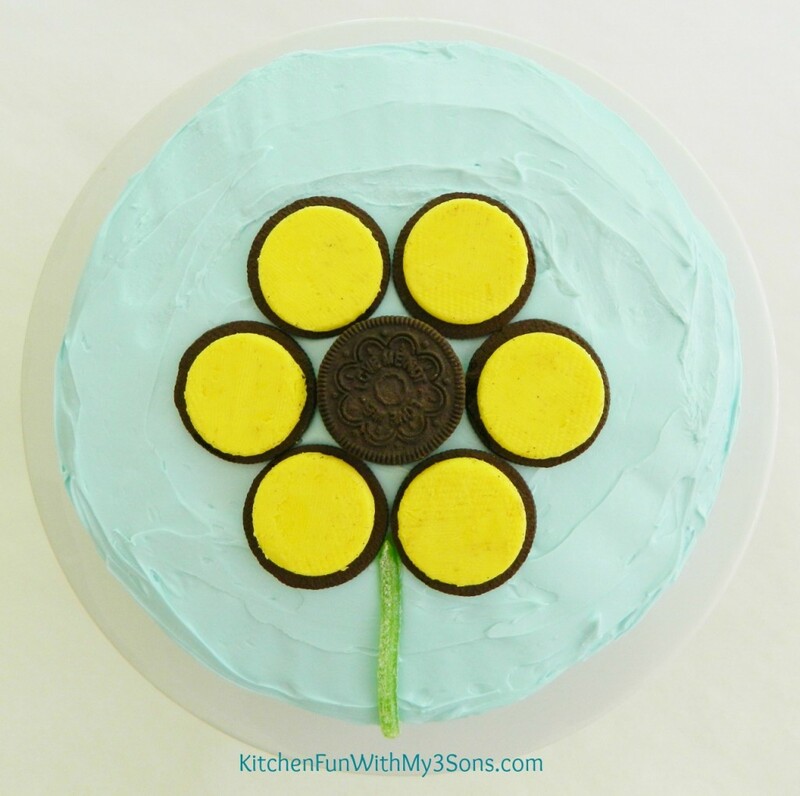 Here is the Oreo Sun Flower by itself & you can make this fun Spring cake for any occasion! 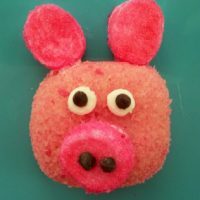 You can view all of our other fun Spring creations HERE! Hi Jill- You are killing me! Ha! Your creativity blows me away! Would love for you to link this up to Friday Favorites that goes live tomorrow night! I love the Oreo sunflower! Maybe I will just put those on a plate, open face up, and call it good! love, love , love your blog! Dropping by from your linky party. I pinned this one. I just love it. You are so creative. You always come up with fresh ideas:) Have a great weekend.